The smart city scheme brings internet of things tech, 5G networks and 3D visualisations of data to the South West. This project is one of the reasons behind Bristol being named as the smartest city outside London. The developments will have a direct positive effect on the locals and residents. You can read more about it here. Venturer Cars consortium shows off its progress in bringing autonomous vehicles to the South West. 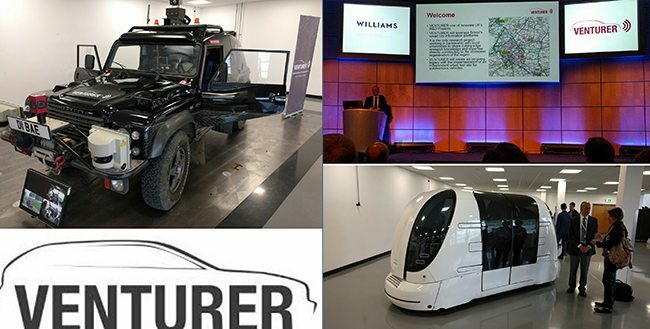 TechSPARK was invited to the Williams F1 Advanced Engineering Centre to find out how they worked, and when they would be let loose on our busy roads. Read the full story here. Additive manufacturing (basically 3D-printing using metal and other materials) and optimising simulation techniques help Robotbike.co to create “the best mountain bike frames possible”. This means you can input your measurements on a website and in a few seconds it designs the correct size and shape frame for you and then the connecting lugs of the frame are 3D-printed in titanium to your exact specifications. TechSPARK saw how the bike was made and found out how recent advancements in technology and exciting collaborations have made this possible. And if you like, you can see our editor falling off it! A new partnership with haptic and optic researchers Shinoda & Makino Lab, at the University of Tokyo, have allowed the Bristol-based startup to extend its innovation in mid-air haptics. Possibly, the most futuristic project to be happening in the South West right now. Read more about the exciting partnership here. Affordable 3D-printed hands are making robotic prosthetics more accessible to amputees all over the world. This tech-for-good has captured attention stateside, and have received a rare package of investment with contributions from Disney, Pixar, Marvel, Lucasfilm, and ESPN. 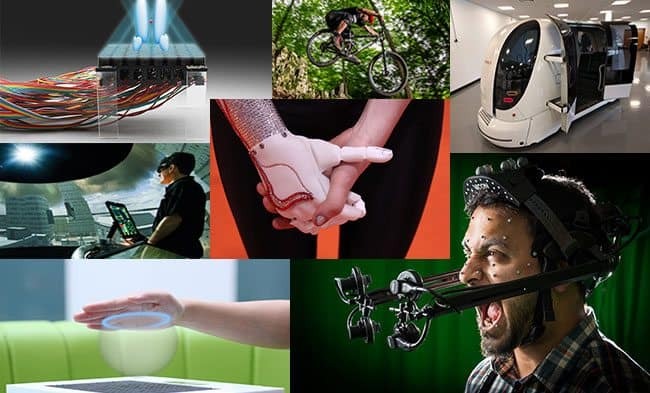 Read more about Open Bionics’ journey across the pond here. CAMERA uses motion capture tech to help in the fields of film, game VFX, health and sport, and they are looking for people to get involved. TechSPARK went along to their showcase event and got our hands on some of the very expensive equipment, including 10 linked 4K (ultra-high definition) cameras worth £7.5k each. You can read the full story here. Want to keep up to date with more tech news? You can sign up to our regular newsletter. If you like a bit of social media, you can follow us on Twitter, like us on Facebook, connect with us on LinkedIn, add us on Instagram, pin us on Pinterest. Any other streams we’ve forgotten? Oh, we Google Plus as well.